How are you today? Hope the answer is happy, if not, start with a smile! 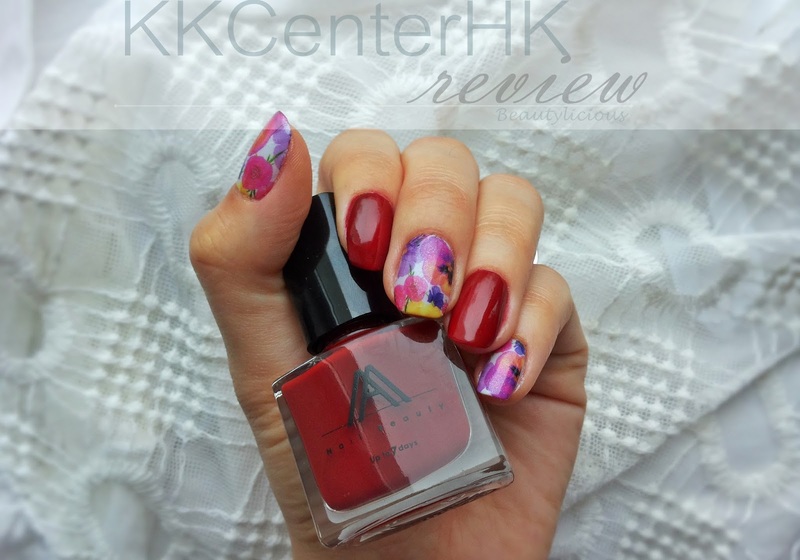 I for one, am happy to present some pretty water decals from KKCenterHK. I think I've mentioned this before but let me do that again - I love water decals! 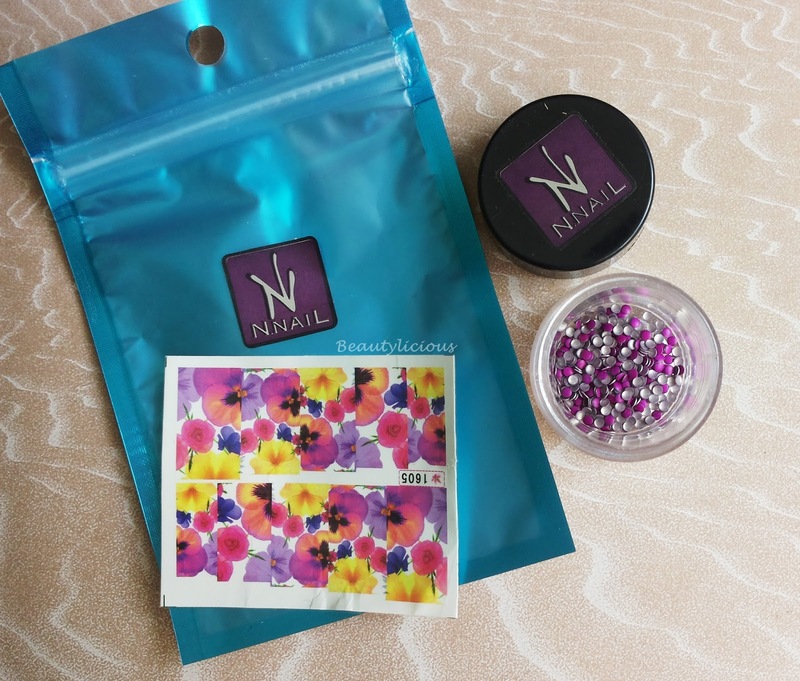 They are an amazing type of nail decorations that will make your nails look like works of art. 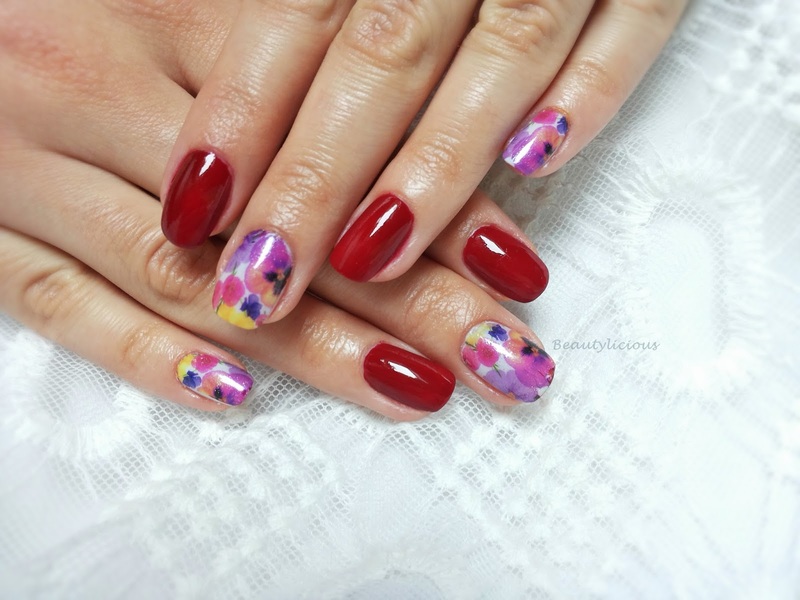 And they are so easy to work with, you can follow an easy set of instructions I've posted in Luxuriant Flowers or you can watch a tutorial I shared in Gorgeous water decals. 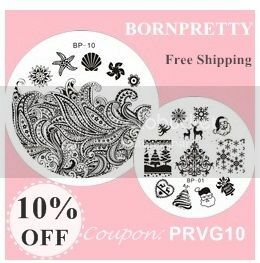 These specific ones are Full nail water decals [NNAIL-WDSY1605], you will need a white base underneath, because they are transparent. 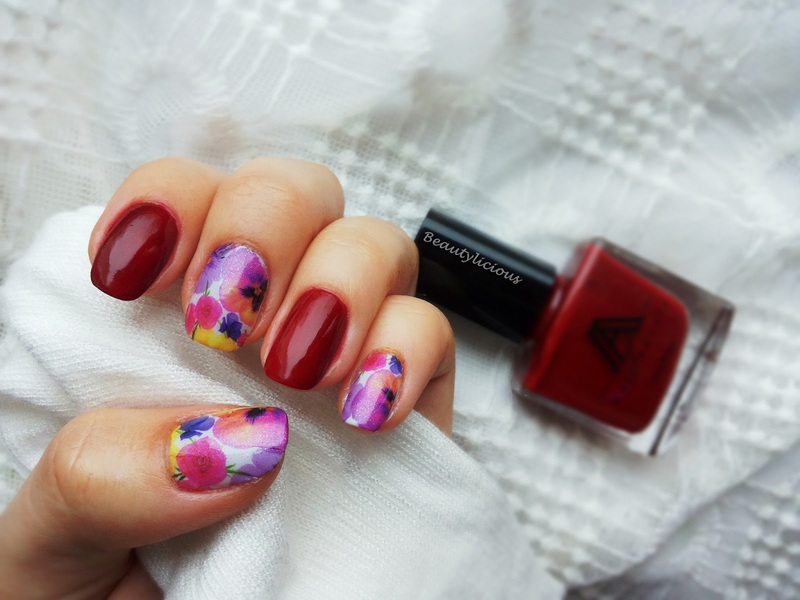 Again, don't forget to be gentle with the top-coat, you can smudge the design if you're not careful; I used Avon Platinum Top Coat, it has this subtle shimmer you can observe, it gives a little bit of sparkle to the flowers. And because some times I'm a rebel, I thought of pairing it with red (Aura Cherry Bomb #705 which is 3free), not the first color that comes to mind when you look at the chromatics of the flowers but I wanted them to "pop"! I hope you like this combination! Tell me what you think in the comment thingy! Cu siguranta water decal-urile sunt cele mai ingenioase produse in materie de unghii.